Valley City (CSi) The Barnes County Sheriff’s Office has released information saying that Michael Dickinson was arrested in Minnesota on September 11th after missing for nearly two days. The news release by the Barnes County Sheriff’s office says Dickinson was arrested in Hubbard County, Minnesota. 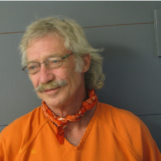 (CSi) The Barnes County Sheriff’s Office reports that it’s seeking an inmate who failed to report back to the Barnes County Correctional Facility, on Sunday September 9, 2018, after being on work release. The Sheriff’s Office is asking for the public’s help in locating Michael Dickinson. Anyone with information on the whereabouts of Michael Dickinson is ask to call the Barnes County Sheriff’s office at 701-845-8530.